Starring: Jeremy Renner, Anthony Mackie, Brian Geraghty, Guy Pearce, David Morse, Ralph Fiennes, Evangeline Lilly. 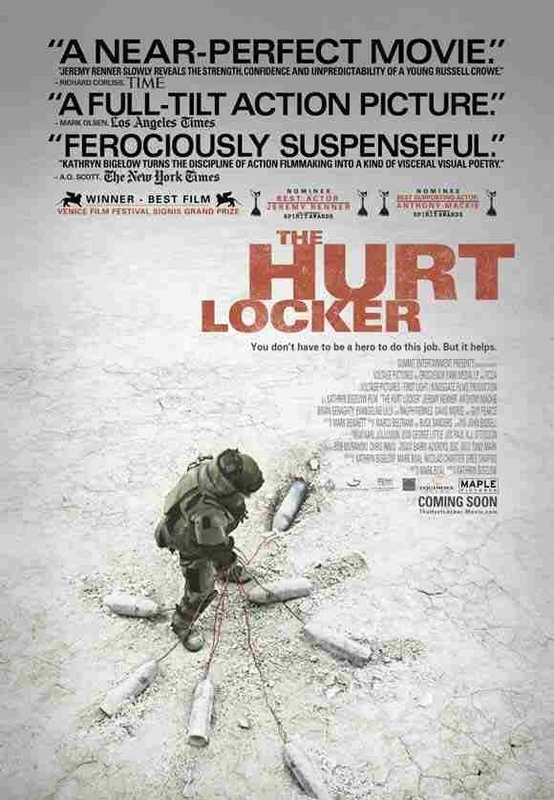 And the Academy award for best picture goes to…”The Hurt Locker.” Eh?…What? I must have missed something. I actually like Kathryn Bigelow’s action films “Point Break” and “Strange Days” and in a genre which is dominated by male directors she can certainly compete. However, this was a bit lacklustre compared to her earlier films and yet it was far better received – especially in terms of awards. Sgt. Will James (Jeremy Renner) is a bomb disposal expert while on a tour of duty in Iraq. He is good at what he does and definitely has big enough cohones. Problem is…his cohones are too big. In fact, he’s an adrenaline junkie which continually puts him and his comrades in grave danger. This is pretty much the gist of the story with a surprising amount of nothing inbetween. I’ll give credit where it’s due though as when the tension mounts it’s done masterfully by Bigelow and some scenes are genuinely thrilling and edge of your seat, with an excellent and edgy lead performance by Renner. However, there are very few of these moments and the film starts so well that it leaves it harder for the rest of the film to keep up. Despite Bigelow wisely taking little to no political stance on the war in Iraq I can only assume that all the Awards recognition this film recieved were in some way a form of western propaganda. I must admit about half way through it, I noticed a loud ticking noise. Turns out it wasn’t the bombs needing defused, but me clock watching. Sporadically impressive but otherwise highly over-rated and quite dull. This entry was posted on January 17, 2012 at 11:43 pm and is filed under Action, thriller, War with tags 2009. You can follow any responses to this entry through the RSS 2.0 feed. You can leave a response, or trackback from your own site.